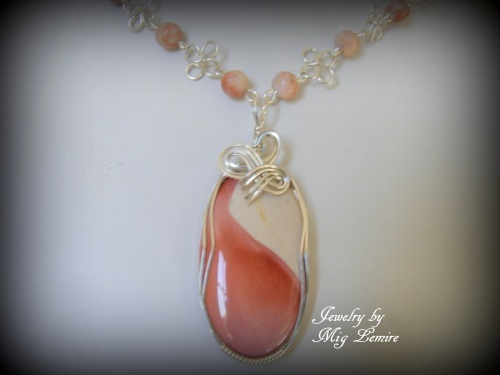 This pretty necklace is made up of a cinnamon and tan colored Mookite Jasper gemstone focal which has been embellished with argentium silver. Beaded part has matching jasper beads which have interlocking 4 leaf clover like silver pieces between the beads. Comes with a matching pair of earrings. Measures 18" long.